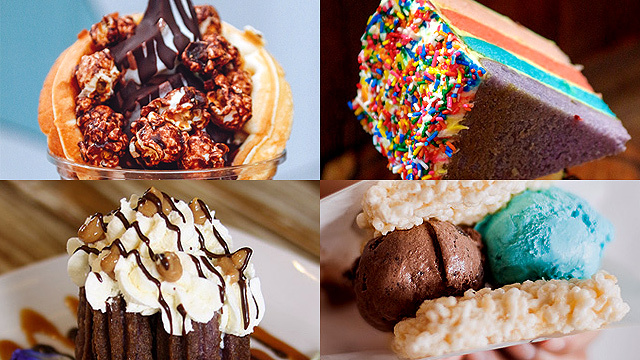 Which fudgy, classic confections made it on this year's list? 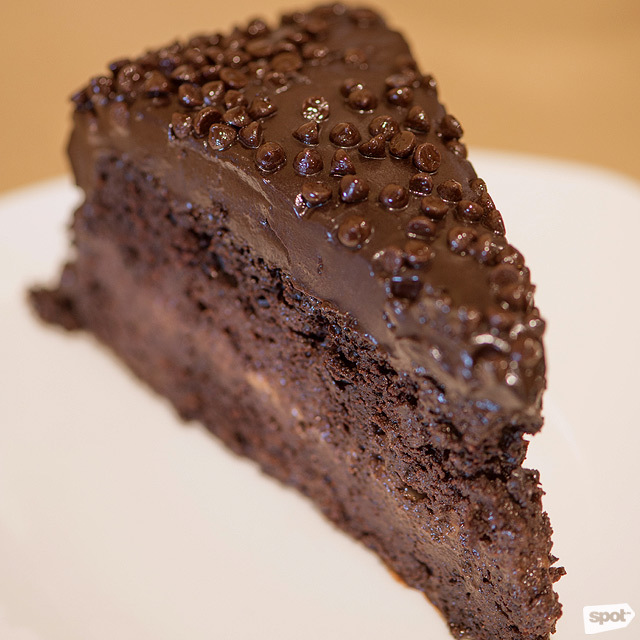 (SPOT.ph) It’s tough to find a chocolate cake you won’t like when several mouthwatering options are available in the Metro, thanks to professional and self-taught bakers. While we appreciate the constant supply of chocolate-based pastries, it just gets harder to select the best of the best each year. For this year’s list, we’re keeping the selection criteria straightforward: both cake and frosting must undeniably be chocolate, the base must be dense and consistent, and the cake itself must carry a flavor worth the added calories. 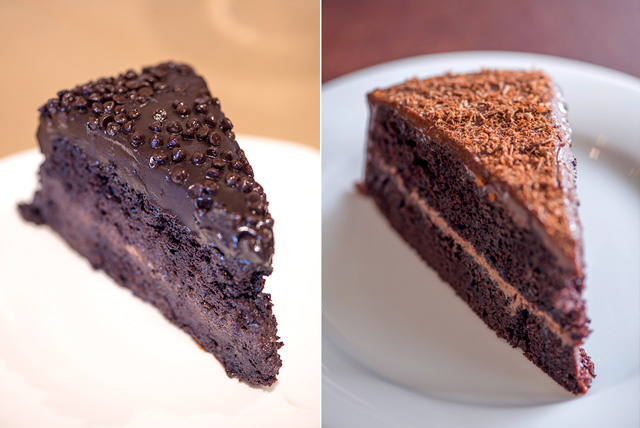 Read on to find out which chocolate cakes made it on our list—a mix of newcomers and all-time favorites that’ll surely stay a while in the local pastry scene. 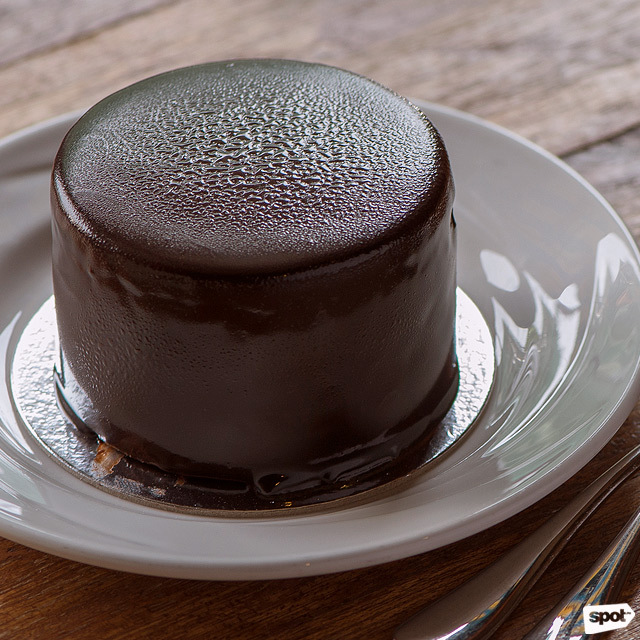 This quaint bakery on East Capitol Drive may be known for their specialties (try the Avocado Cake and the Calamansi Tea Cake), but we’re keeping our eyes on the Chocolate Decadence. 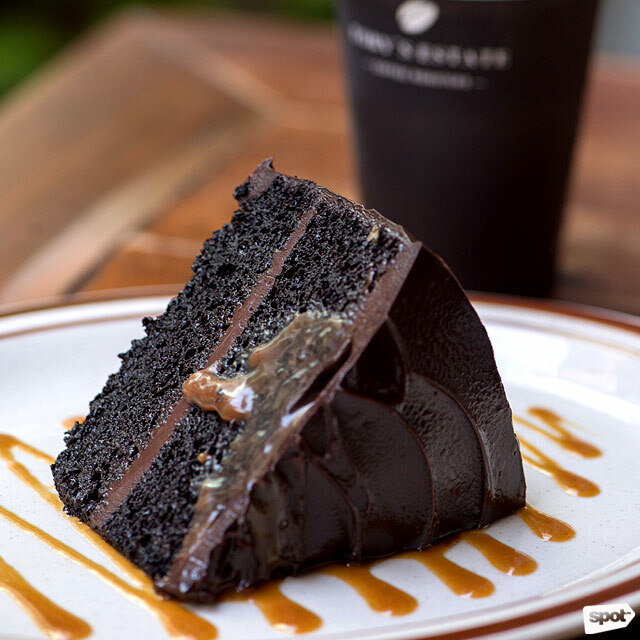 To best enjoy this particular variant, consume it warm so the rich frosting (a blend of chocolate and caramel) melds perfectly with the moist chocolate base. Every bite easily slides off the fork and leaves a warm, fuzzy aftertaste that’ll remind you of grandma’s fresh-off-the-oven baked goods. Lia’s Cakes in Season is at 23 East Capitol Drive, Kapitolyo, Pasig City. 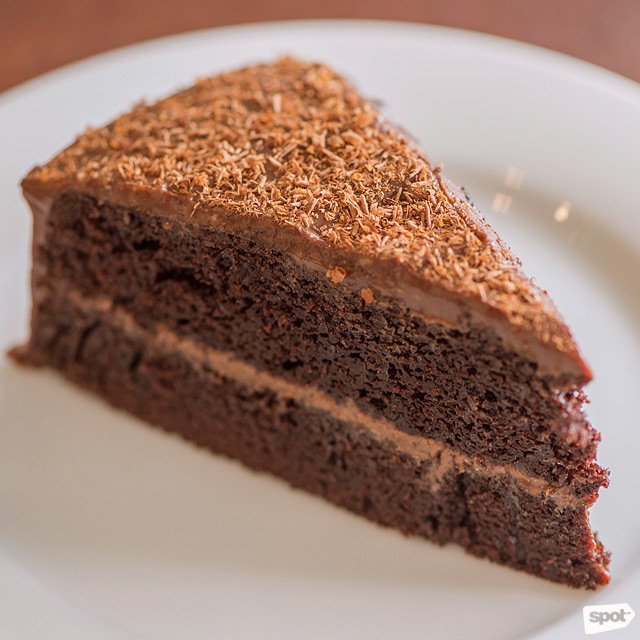 The neighborhood deli’s strong suit may be in their line of sausages, but it is owners Sonny and Joy de Leon’s Blackout Chocolate Cake that remains one of the fastest moving items on their dessert menu. The couple attributes the hype to a family recipe: a dense concoction made with the finest Valrhona and Belgian chocolates. 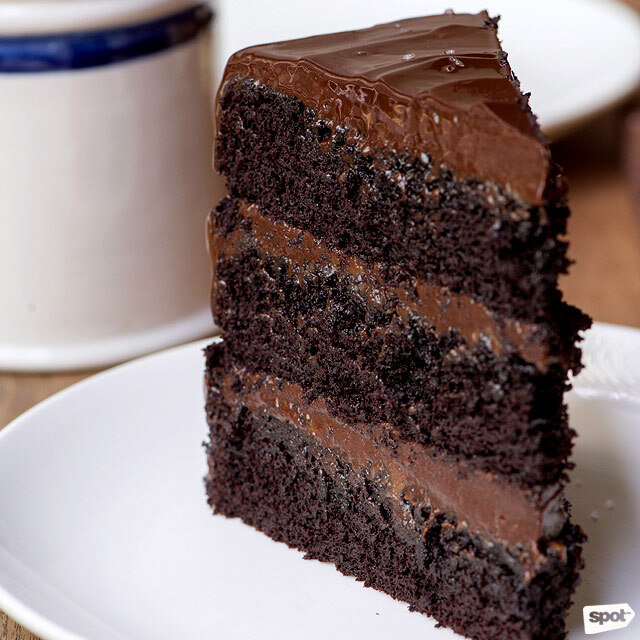 Each slice of this signature dessert, a gooey structure coated with a layer of dark chocolate bits, contains a stark balance of sweet and bitter endnotes that make for a great meal-ender every time. Poco Deli has branches at 21 East Capitol Drive, Kapitolyo, Pasig City; Ayala Triangle Gardens, Makati Avenue, Makati City; and One Parkade Building, 7th Avenue corner 28th Street, Bonifacio Global City. 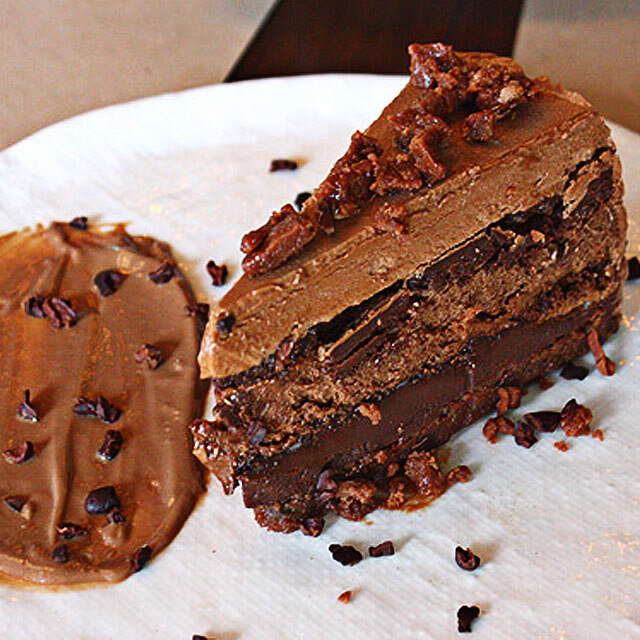 It’s hard to believe that Roshan Samtani, who claims to not be a dessert person, has hit gold with her take on the classic chocolate cake. 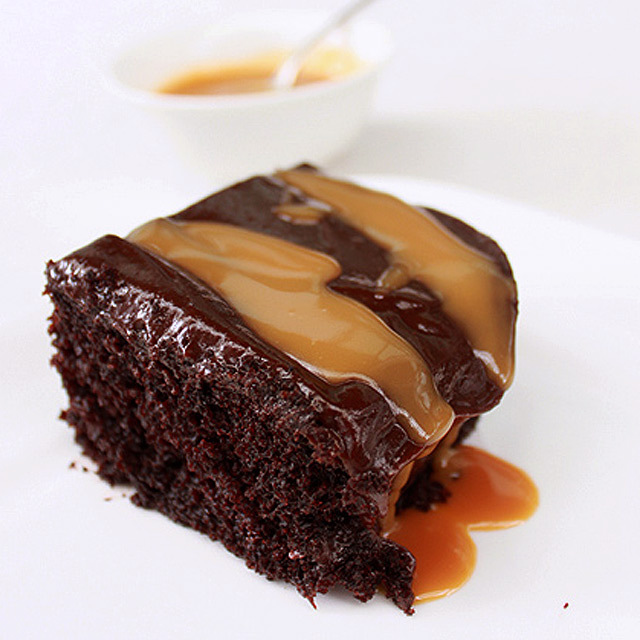 Hers is luscious from start to finish, each bite a sophisticated display of the wonders a chocolate-caramel-coffee fusion can do. Expect to bite into a silky, no-frills delight when you opt for Roshan’s entry, and we guarantee that a slice will leave you wanting more. For orders, contact Homemade by Roshan at 631-7786 and 0917-833-6268, or log on to Homemade By Roshan's website. If you are a dark chocolate advocate, Chocolat’s Death by Tablea must be your immediate go-to. Many have already fallen under this particular cake’s spell, and it’s easy to see why. The smooth base has found its crowning glory in its icing: a lip-smacking opus of pure cacao and condensed milk, topped off with more cacao bits for a lasting flavor that truly satisfies. Chocolat has branches at SM Mall of Asia, Pasay City; 205 P. Burgos corner A. Mabini Streets, Addition Hills, San Juan; G/F Llanar Building, 77 Xavierville Avenue, Loyola Heights, Quezon City; 26 Sgt. Esguerra Avenue, South Triangle Quezon City; Emilia corner Bautista Streets, Makati City; and Gloria Heights, Antipolo City. Newcomer Croque, a cool brunch stop at the heart of Makati, has become a favorite venue for ace comfort food done with a twist. But it is their Chocolate Quenelle, a shiny fortress of rich, chocolate-y goodness, which should secure a spot in your brunch lineup. 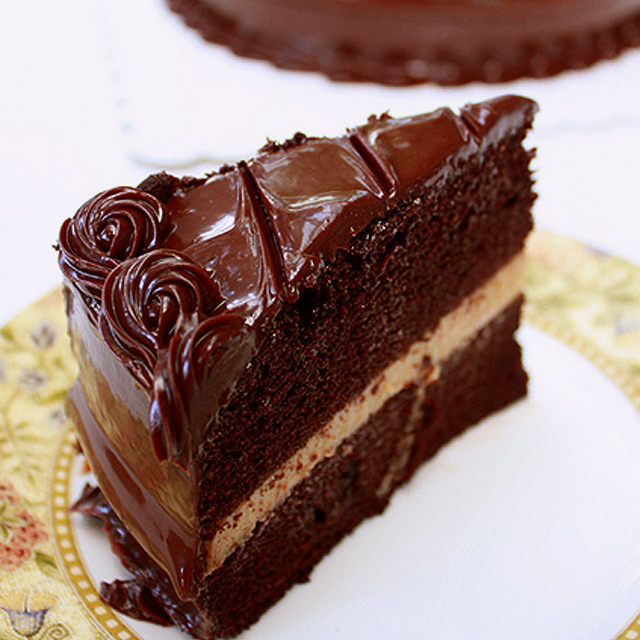 The cake has a markedly exceptional chocolate flavor that lingers in your mouth a few seconds too long, but does not overwhelm. Instead, it leaves you wanting more. You’ll be on your nth forkful before you know it. Croque Café + Bakery is at G/F Dominion Building, 833 A. Arnaiz Avenue, Makati City. Mention Dimpy’s to just about any discerning sweet tooth, and you’ll surely solicit fond memories of one of Manila’s best-kept secrets. Dimpy Camara has made a name for herself in the chocolate cake universe for crafting one of the most satisfying chocolate cakes there is. Her take is light and contains the right combination of sugary endnotes and dark chocolate kicks. 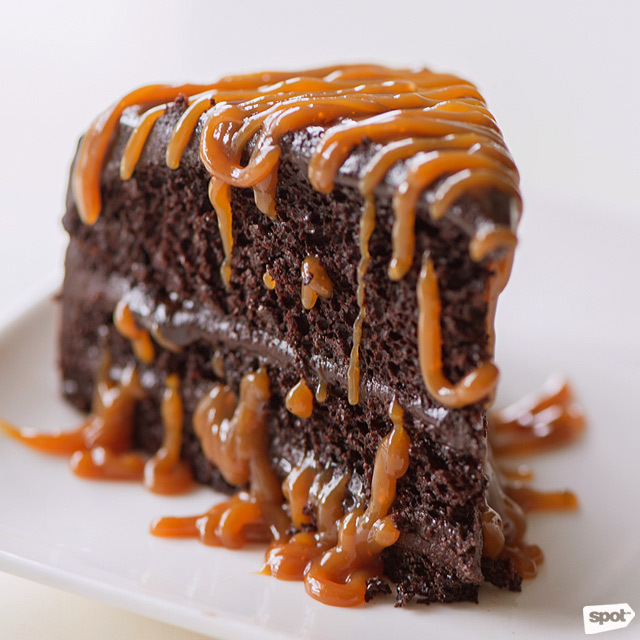 You may find each forkful a bit crumbly, but the sweet caramel sauce served on the side is a cool addition that ties the cake’s elements together for a delightful finish. Dimpy Camara is at 1243 Acacia Street, Dasmariñas Village, Makati City. For orders, contact 843-8086. 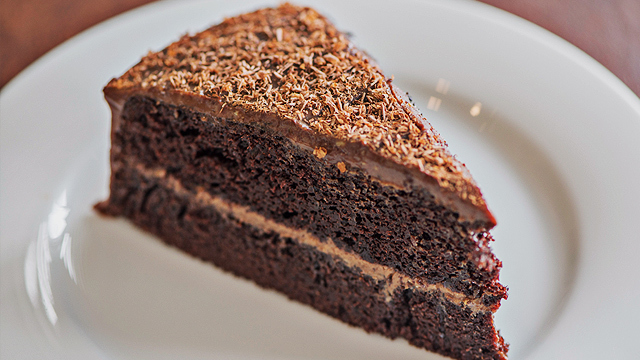 If you are on the lookout for an honest-to-goodness classic chocolate cake, Ms. Polly’s is a strong contender. Her contribution to the chocolate cake scene is masterful and stripped down, the kind of cake that may underwhelm at the outset, but surprises and leaves a lasting impression. The frosting is the best part of this cake: a glossy blanket of rich butter, cream, and chocolate, which covers a delicate sponge cake packed with more layers of fudge. 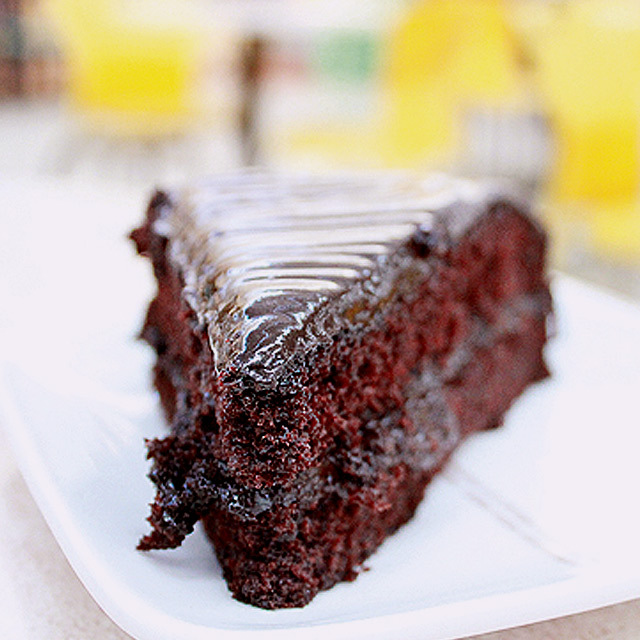 Ms. Polly’s Specialty Cakes and Desserts is at 16 Milan Street, Merville, Parañaque City. Chef Cuit Kaufman proves yet again that his pastry game is strong with another addition to his arsenal of sweet delights: the Death by Chocolate Cake, which has been hailed a critic’s favorite. The hefty slab boasts seven distinct components, including mousse, meringue, fudge brownie, chocolate truffle, crème anglaise, and cocoa nibs, folded intricately into each layer. The masterpiece ranks high on the indulgent scale, each bite every bit as sinful, but so delicious and worth the extra calories. 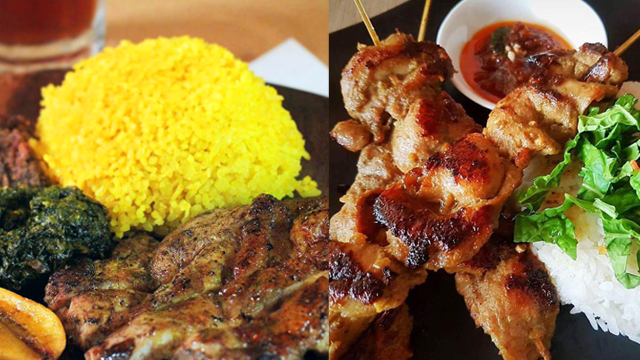 The Bowery NYC Comfort Food is at Forbeswood Heights, Burgos Circle, Bonifacio Global City. Wildflour Café + Bakery has branches at 4th Avenue corner 26th Street, Bonifacio Global City; The Podium, Mandaluyong City; 125 LP Leviste Street, Salcedo Village, Makati City; and Rada Street, Legazpi Village, Makati City.